Flowers, the most beautiful things God ever made without putting a soul into. Gardens are one of the best places that are home to flowers that are able to inspire many people of all walks of life. One type of flower that is quite commonly found to thrive in the nation’s weather is the Orchid. 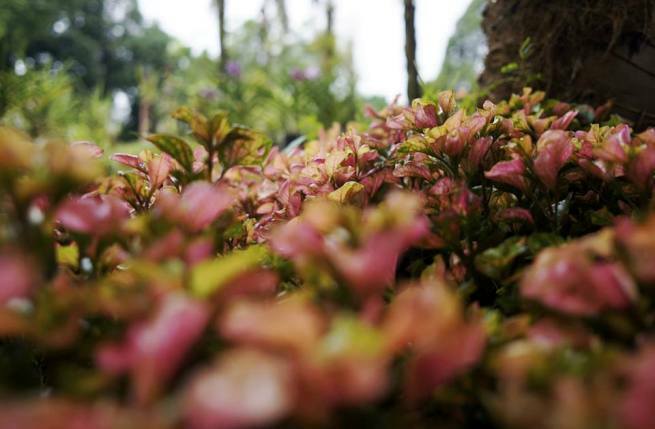 If you are one who loves paying a visit to a floral paradise and speaking to flowers, head on down to the Orchid garden in Kuala Lumpur for an enchanting experience with the many beautiful and exotic species of Orchid that are on display just for you. The Orchid garden located in the Kuala Lumpur is an enchanting gateway from the hustle and bustle of the city. It is also an amazing place to take a romantic stroll or for a relaxing walk among the many blooming flowers. Your walk through the entire garden may take you about an hour to two, depending on how long you wish to stop and admire the Orchids. The garden is home to more than 800 species of Orchids that can thrive here in abundance of the local climate. Some exotic species that are rare outside the garden can also be found here in this garden. If you are someone who loves flowers, has green fingers or just want to start your own garden in your new home, the orchid garden is a great place to spark some interest in planting Orchids in your own backyard. Gardeners at the Orchid garden are more than ready to provide valuable advice for you as they are more experience than anyone in growing enchanting orchids. Take home an orchid with you. You can either buy a plant memento as living reminder of your visit to the Kuala Lumpur city or buy an orchid delicately fitted into a plastic glass bottle. If you are at the garden on weekends, don’t miss out on the opportunity to purchase a few Orchids that have been cut for sale. These flowers would certainly go a long way in beautifying your home. Souvenirs are also on sale on weekends. Weekends are by far the best day to come as the orchid garden is magically transformed into a flower bazaar that puts up for sale many unique species of orchids. The garden also grows hybrid orchids that are as spectacular in their beauty as most other orchids. Opened from 9am to 6pm, the garden is a great place to stop by to take a breather from the hustle of the city. If you are done enjoying the beautiful orchids, you can make your way to view the nation’s national flower, the Hibiscus. The Hibiscus garden is located very near and you could just stroll over to take a look at a different type of flower. One easy way to make your way to the garden is by calling a cab. However, taxi fares can be quite expensive so you may want to consider the bus services. Do check online for bus routes that will take you to the garden from your location.